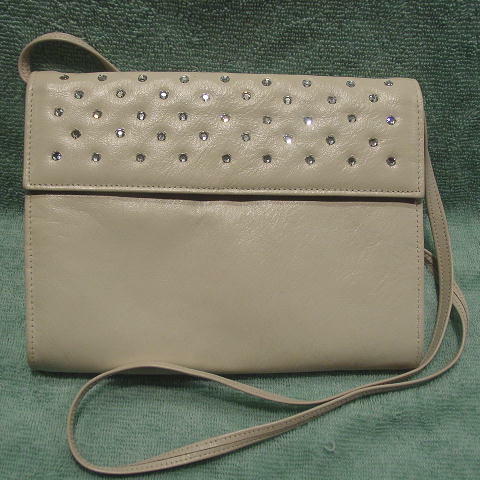 This vintage bone faux leather purse was made in the USA by Shirl Miller Ltd. 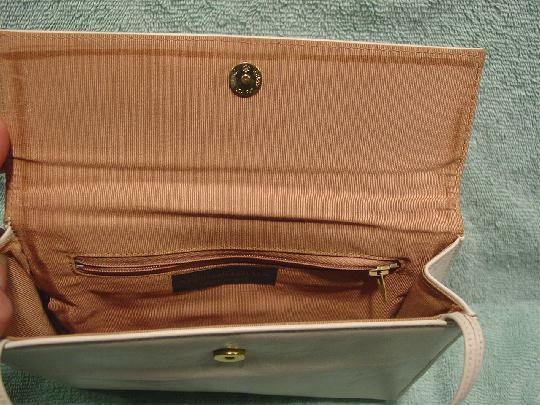 It has a nice champagne-cocoa grosgrain fabric full lining and an interior zippered compartment. 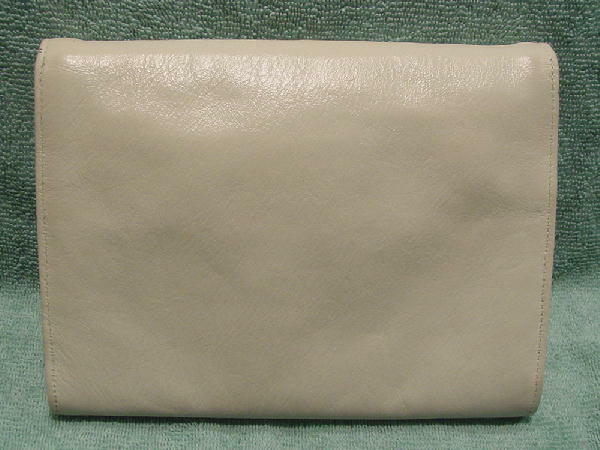 There is a modified envelope styling with a magnetic closure under the front flap. It has 5 staggered rows of rhinestones. There is a 41" long by 3/8" wide shoulder strap, which can be tucked inside if you want. There are 2 tiny dark marks on the left upper back side edge. The rhinestones sparkle more in person.